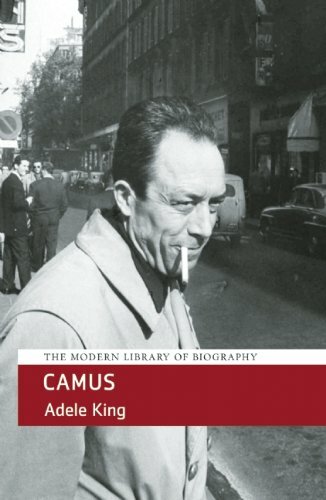 Camus's works keep being rediscovered and set against a contemporary backdrop. While he is often said to be a writer of allegories and moral abstractions, his fiction and philosophical essays are, as this book aims to highlight, autobiographical in their origins and incidents. The Stranger is usually regarded as a classic, one of the few novels taught in schools and universities and found on most lists of the best modern novels. Born into a poor, uneducated family in Algeria, raised by an illiterate mother and tyrannized by his grandmother, he was expected to quit school at 14 and join the working class like his brother. Instead he went on to become one of the greatest French writers and a Nobel laureate. As a journalist he was an early defender of the rights of Muslims, a position which led him into conflict with the Communist Party, of which he was for a time a member. He felt himself neither entirely French nor solely Algerian, and believed that the Muslim and French communities should be able to live together. Less than three years after he was awarded the Nobel Prize for literature in 1957, at the age of 44, he died in an automobile accident. Adele King was a Professor of French at Ball State University in Muncie, Indiana. She is the author of monographs on Proust (1968), Camus (1971), Paul Nizan (1976), and the Guinean writer Camara Laye (1980), and more recently French Women Novelists: Defining a Female Style (1989) and Camus’s L’Etranger”: Fifty Years On (1992). She has also published frequently on the work of francophone and anglophone writers from Africa, Asia, and the Caribbean.